In 2009 Hannes Egger realised the project ‘Do you feel free?’ together with the artists’ collective ‘meraner gruppe’, of which he is a founding member, with Julian Blaine as guest artist. An egg with a height of approximately 55 cm acted as a collecting basin or platform for answers to the question of whether people feel free. The project went on tour from June until October through nine art institutions in North, East and South Tyrol and Trentino. 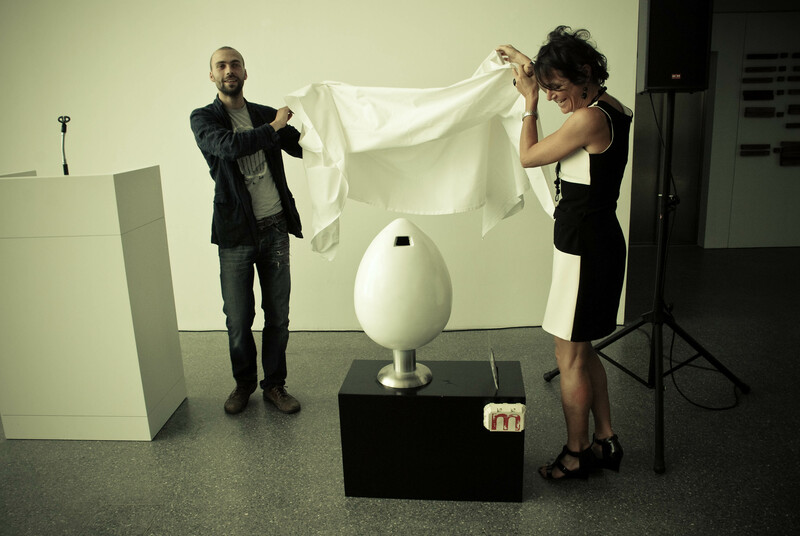 Over 300 digital contributions were collected that were stored on USB sticks and thrown into the egg or sent to meraner gruppe by e-mail. Fühlst du dich frei?/Ti senti libero?